cinematic experience, just add popcorn. 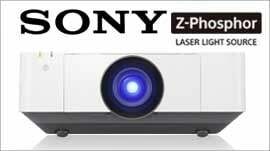 We’re the UK’s Number 1 Home Cinema Projector store with over 50,000 projectors sold since 2001. We’ve got the UK’s largest range and biggest stocks of home cinema projectors from the world’s biggest brands. Not sure which projector to buy? Check out our hand picked most popular home cinema projectors. Looking for a projector for occasional use or a Full HD home cinema projector for films , photos and gaming, then you're in the right place. We also stock the UK’s largest dedicated performance home cinema range 4k home cinema projectors – offering 4x the pixels of full HD. Looking for a projector bargain? Check out our ex demo home cinema projectors. These projectors have seen very low usage under strict demo conditions and are supplied with Manufacturer warranty so you get the same great projector but at a fraction of the original cost. If you need help in selecting the right home cinema projector for your needs, you can call one of our experts on Freephone 08000730833 or read our buyers guide to home cinema projectors. Our most popular selling Home Cinema projectors. All current home cinema projectors in one place. FULL HD 1080p Home Cinema projectors. 4K UHD Home Cinema projectors offering 4 times the resolution of 1080p. Lamp free Home Cinema projectors. Looking to setup your first dedicated home cinema or perhaps just replace one part in your of the chain? From AV Receivers and projector mounts through to HDMI and network cabling, we have hand picked the best selection from all the major brands..
4K Home Cinema at a wallet friendly price! Until now you would expect to pay in excess of £2000 for a true dedicated 4K UHD home cinema projector with all glass lens array. The BenQ W2700 is a game changer producing 4K Ultra High Definition with 4K HDR Pro technology for less than £1500! Detailed, natural looking images wrapped up in a compact matte white chassis so it will blend with your living room ceiling..